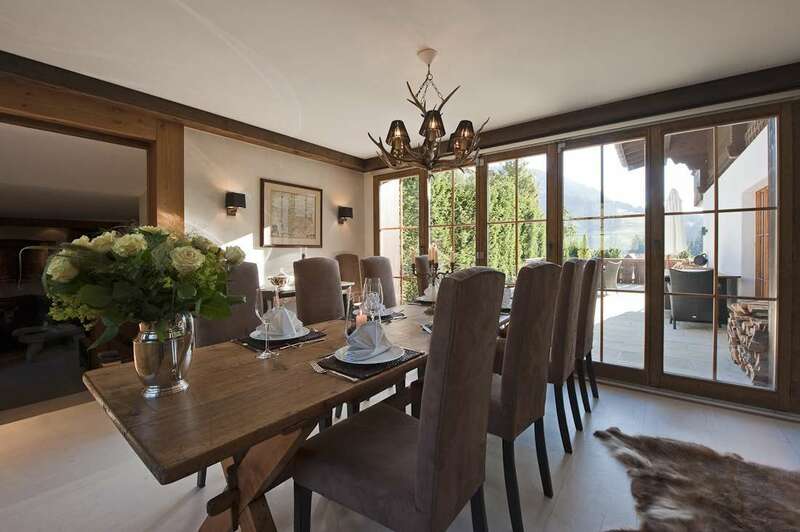 From the exterior this is a traditionally designed chalet nestling with panoramic views of the surrounding peaks and village below. 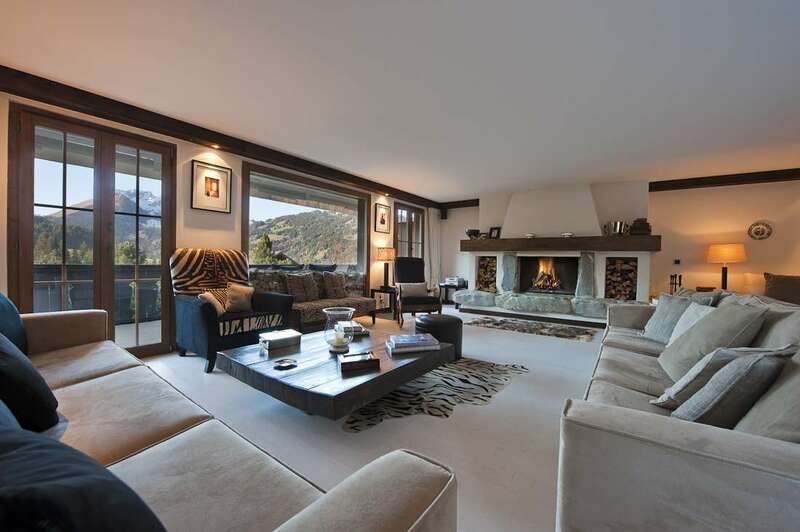 The wonderful open and spacious interior blends beautiful artifacts, art and furniture with contemporary design creating a very chic and comfortable home. 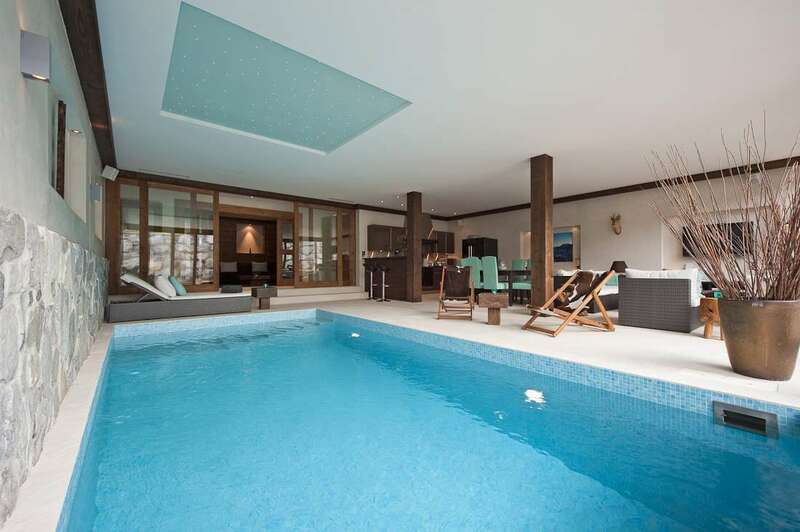 The property offers the luxury of a wonderful wellness area, including an indoor heated swimming pool (15.25m x 3.15m) and sauna. 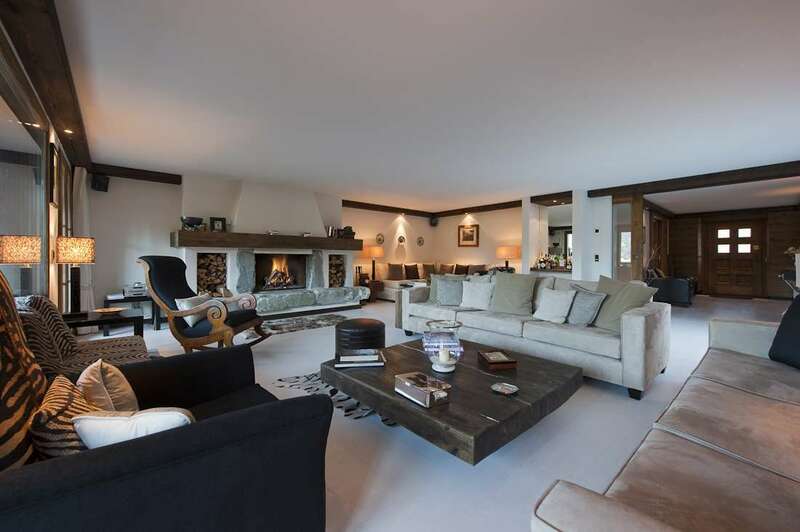 The large garden and barbeque terrace is perfect for the kids to enjoy the snow in winter or for entertaining during the summer months. 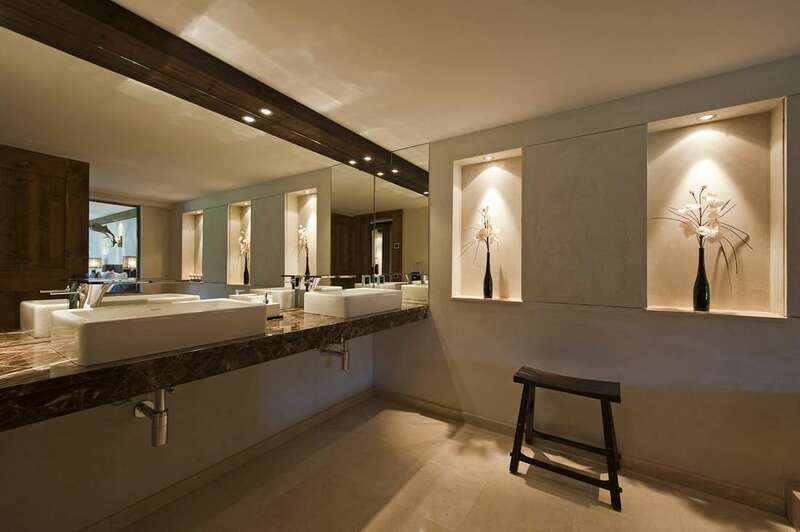 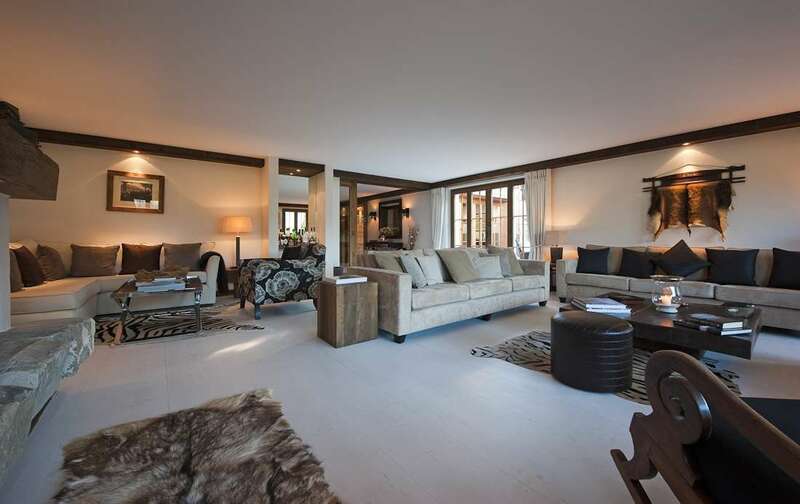 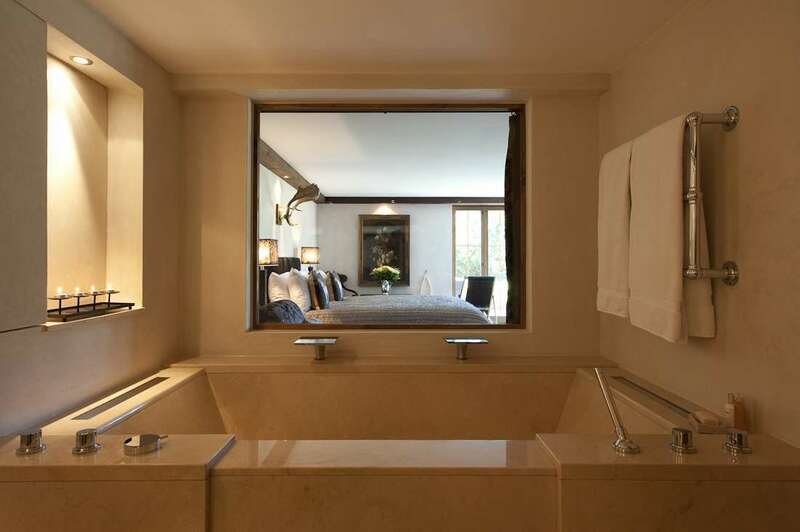 The property is located in the Bissen area in Gstaad, nestling above the village. 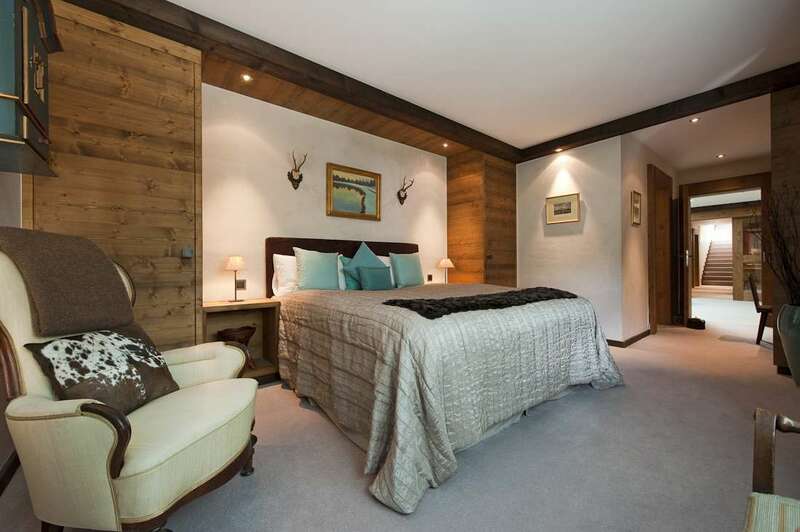 The center of Gstaad is only a short 4 minute drive away. 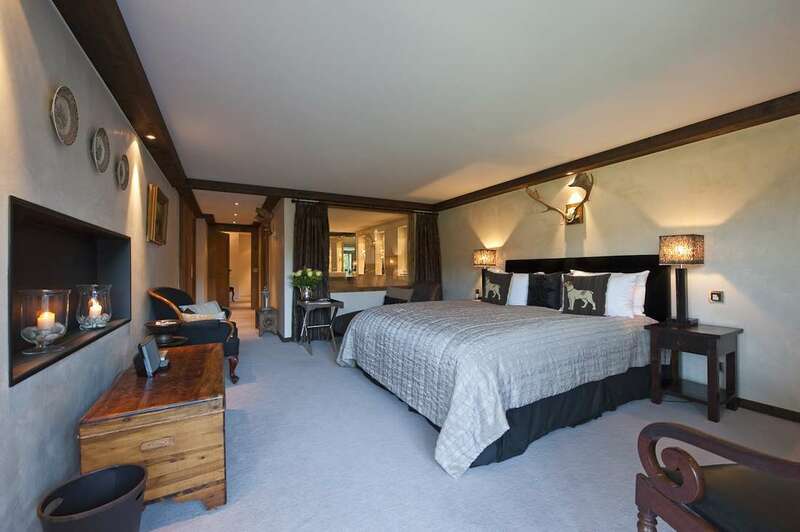 Set out over 3 floors the property sleeps 12 guests in 6 en-suite bedrooms. 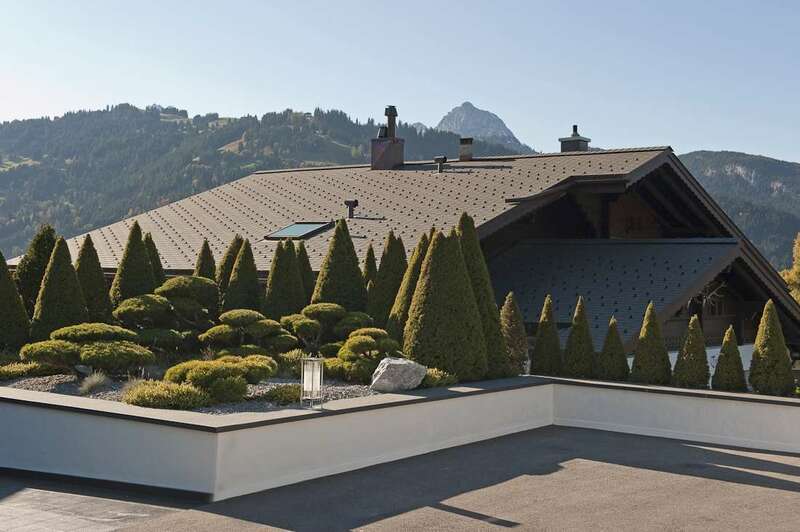 It should be noted that the chalet is semi- detached where 1/3 of the building is occupied by another chalet. 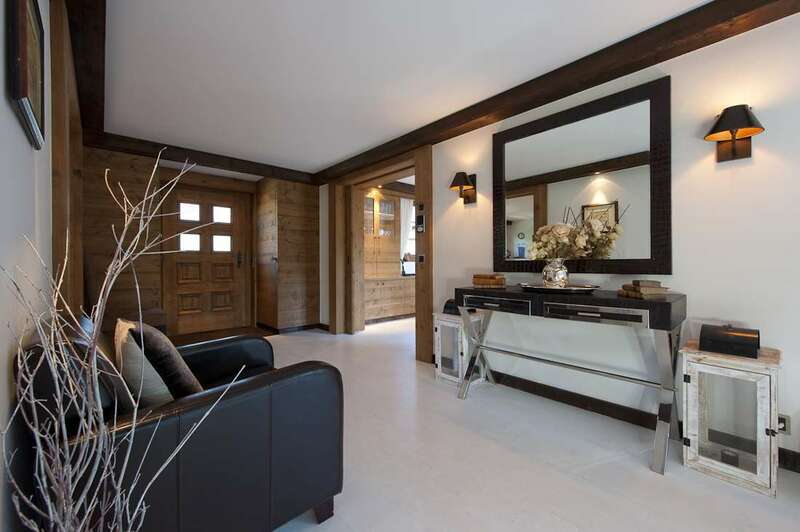 The main entrance of the chalet is on the 1st floor opening into a wide hallway and then the bright and spacious living area with real fire place. 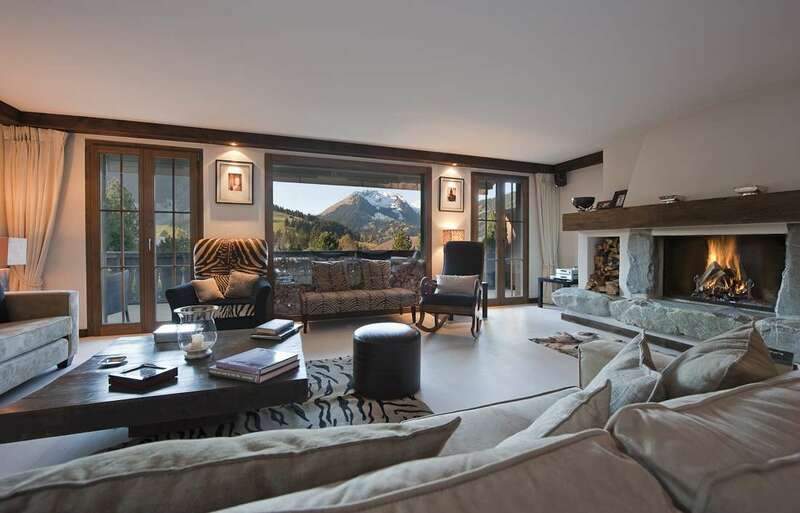 This large room has magnificent views of the surrounding ski mountains. 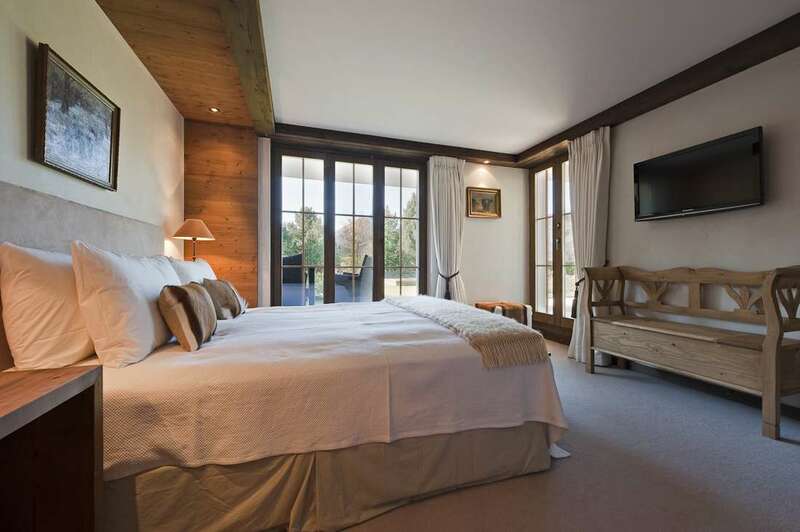 French doors give access to the terrace and balcony. 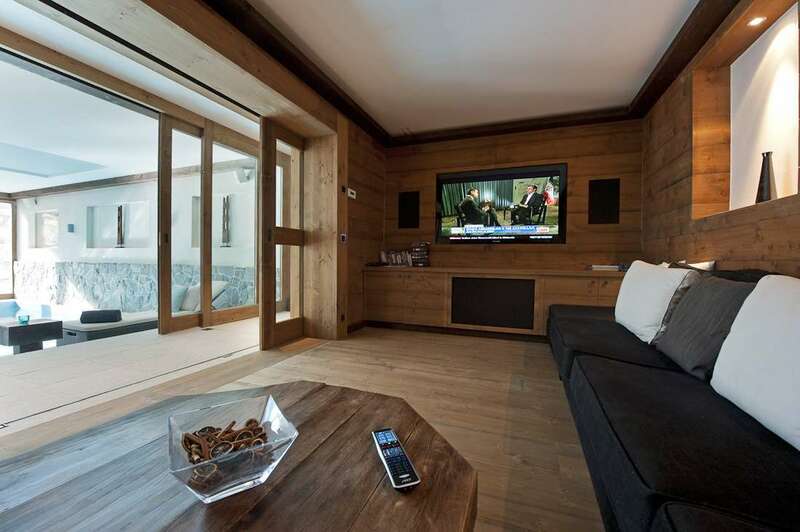 This floor also houses a kitchen, dining area (seating 8 to 10 people only) a small snug TV area and office. 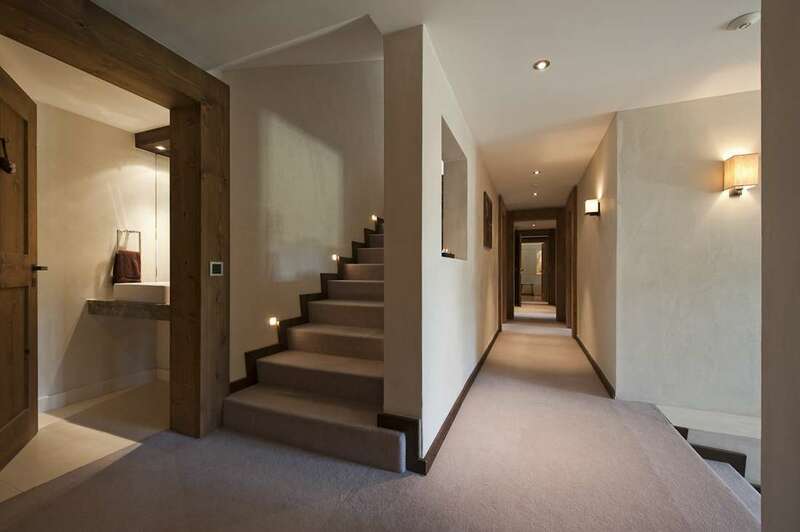 Stairs lead down to the ground floor where the main sleeping area is located, including the master bedroom with en suite bathroom and dressing area, a double bedroom with en suite bathroom, sitting room and adjacent double bunk room for children, and a double bedroom with en suite bathroom and a further single bedroom with shared shower room and a guest toilet. 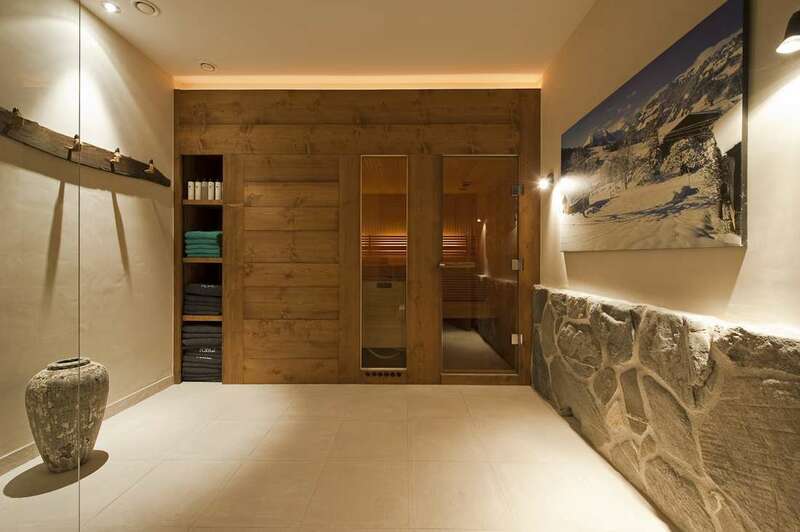 The spa is found on the ground floor. 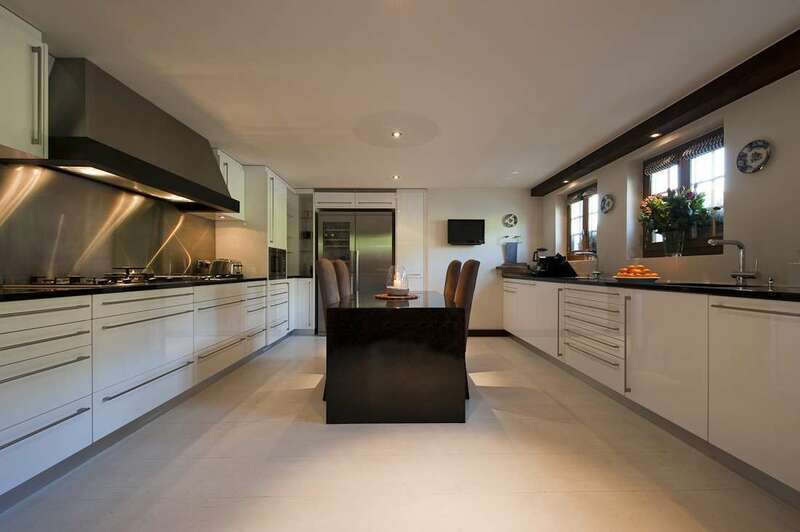 This area has a second kitchen and breakfast dining area as well as a lounge area on the side of the pool. 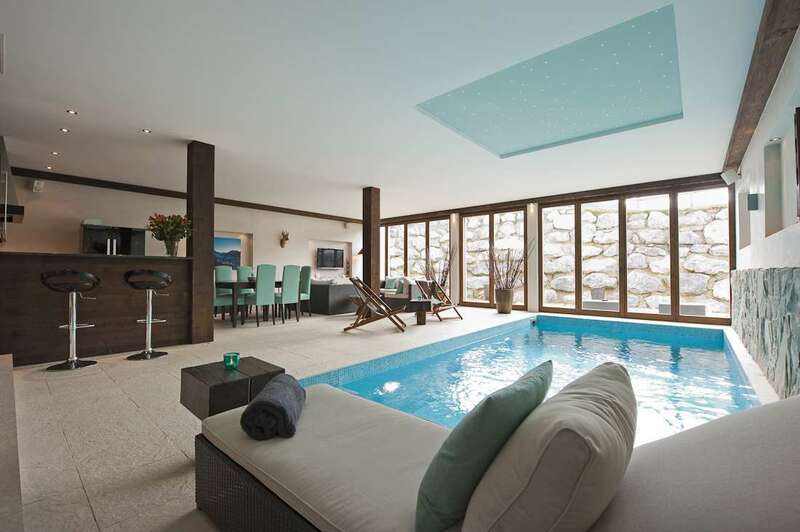 A large TV room opens onto the pool area. 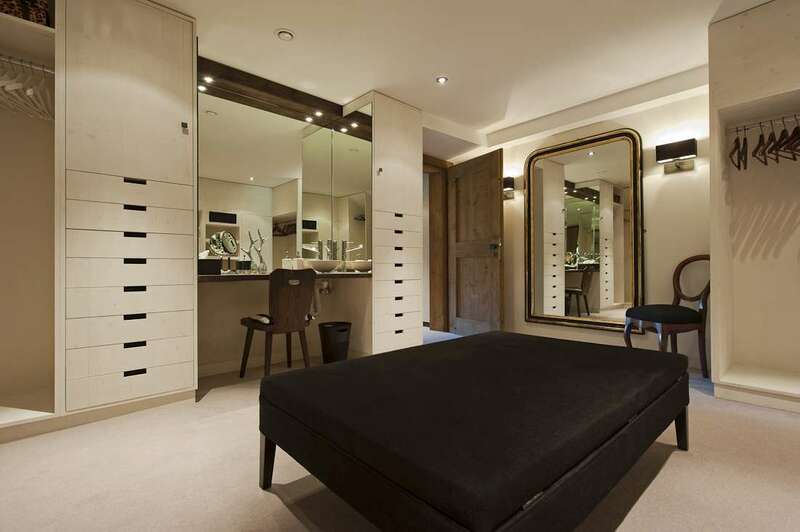 A sauna and shower room, further guest toilet and three bedrooms all en suite are located on this floor. 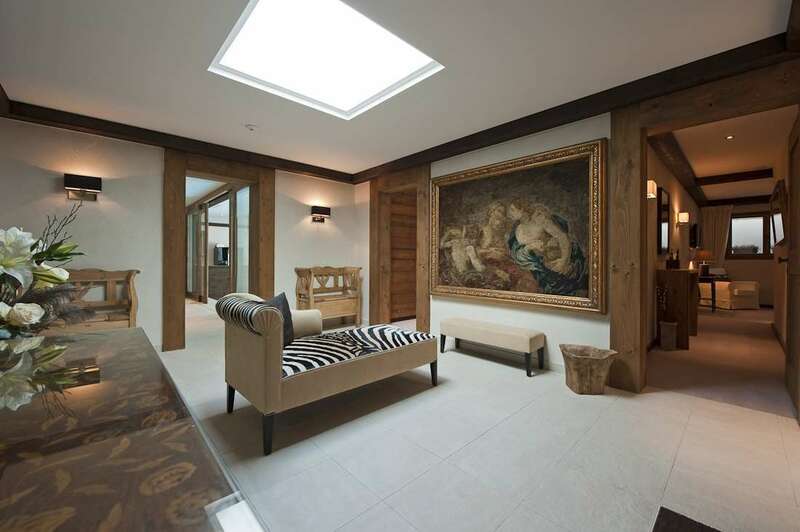 The second entrance hall on this floor leads to the garage with 3 parking spaces.